https://farm2.staticflickr.com/1979/44308124794_95ab4302c5_o_d.jpg https://farm2.staticflickr.com/1959/43216265910_b454354328_o_d.jpg https://farm2.staticflickr.com/1925/43216265670_31bbd44113_o_d.jpg https://farm2.staticflickr.com/1941/44308124544_7493db30e4_o_d.jpg https://farm2.staticflickr.com/1962/44308124464_cda3386a20_o_d.jpg https://farm2.staticflickr.com/1915/44308124354_dc6815e111_o_d.jpg https://farm2.staticflickr.com/1932/44308124254_abbc25e582_o_d.jpg https://farm2.staticflickr.com/1963/44308124334_0de9350175_o_d.jpg https://farm2.staticflickr.com/1952/43216264620_0293121f35_o_d.jpg 【concept of design】 Initial beauty This hand-made chopsticks retains the original hot hand feelings to those who truly feel the details of life. When you hold the chopsticks, you can feel the shave left by the master on the sandalwood through the touch, unlike the mechanical automatic The chopsticks produced each have their own unique color and ridgeline. Natural wood without coloring, lacquer, no coating The chopstick body is made of natural wood, no coloring, no paint, no painting, spoon and fork and safe and non-toxic through SGS test, giving you the most comfortable and enjoyable experience. MIT Taiwan design boutique responds to environmental protection and can taste fashion Adhere to the quality of MIT, Taiwanese design, made in Taiwan, and colorful and wonderful every day. 【design feature】 So beautiful - woodcut elegant ridgeline against natural color Good folder - the proportion of chopsticks and chopsticks is appropriate, easy to apply Good grip - multi-angled nicks, non-slip grip Good health - natural wood without paint, no coloring Good Taiwan - 100% Made in Taiwan [responsive to environmental protection] Taiwan has about 9 million people dining out a day, plus the disposable tableware used for eating snacks. According to government statistics, about one billion pairs of disposable tableware are consumed in one year. These materials are obtained, processed, and transported. They are consuming the earth's energy and carrying environmentally friendly tableware. It is a way to protect the earth from the perspective of life. [Promoting health] Disposable tableware To prevent the mildew and the chemical used in the bleaching of the phase, It will often be released during the process of use, and the daily accumulation will have a considerable impact on our health. [Content material size] Chopsticks: 225mm long, natural rosewood Cloth cover: 225mmx35mmx2mm, twill weave [Intimate reminder] 1. Due to the different resolution of the screen, the color of the picture is slightly deviated, so the color of the product is subject to the actual product. 2. The goods are personal hygiene products, which are not returned or exchanged after being opened or used. 3. 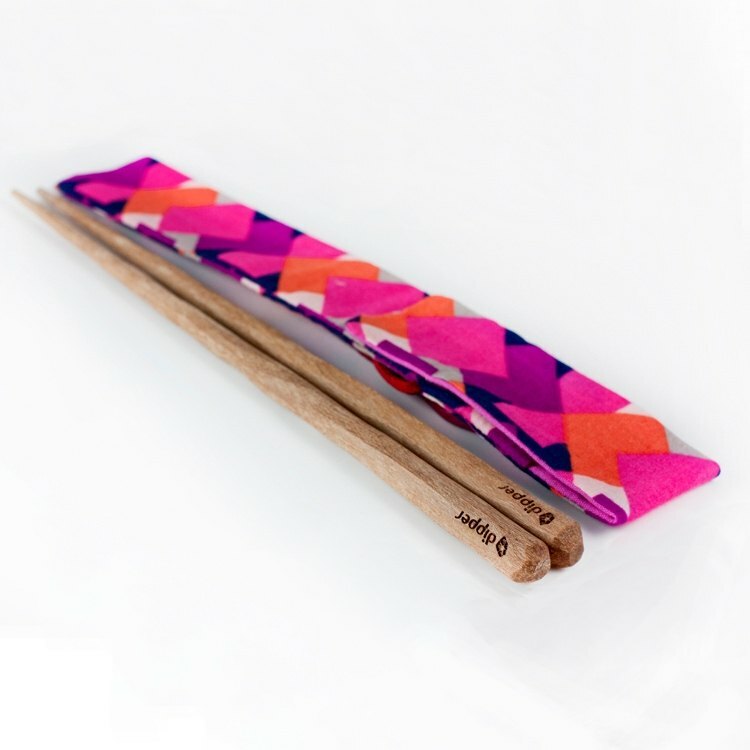 The rosewood chopsticks system is made of natural wood, without lacquer or coloring. It will be dissolved in the original natural plant pigments of micro-wood for several times. This is a natural phenomenon, so please feel free to use it.